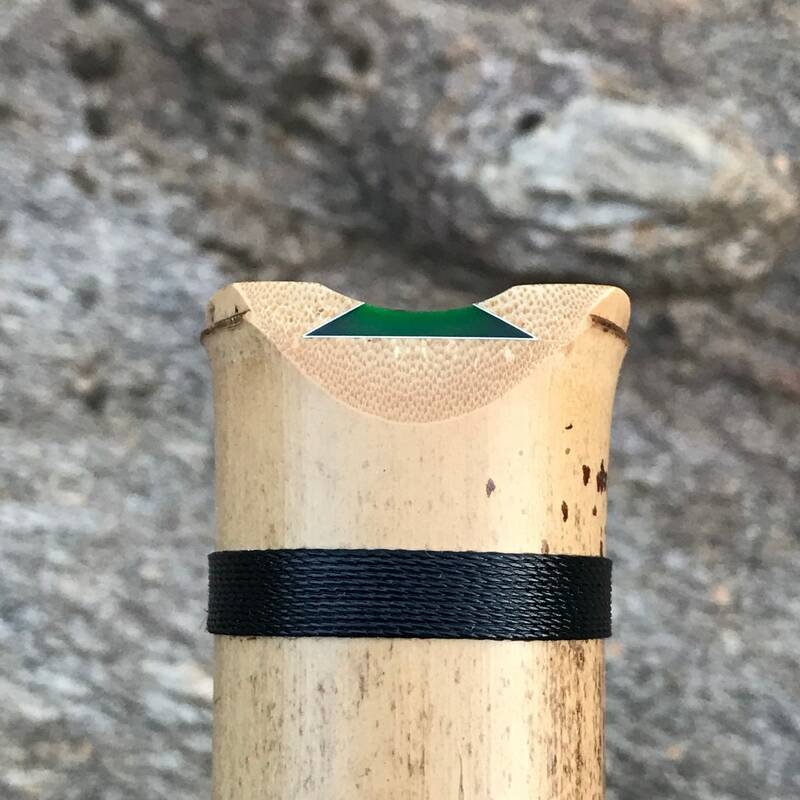 This 1.8 D meditation model shakuhachi flute features a dark green acrylic and sterling silver kinko style inlay and black bindings. Measures approx. 21-1/4 inches long. 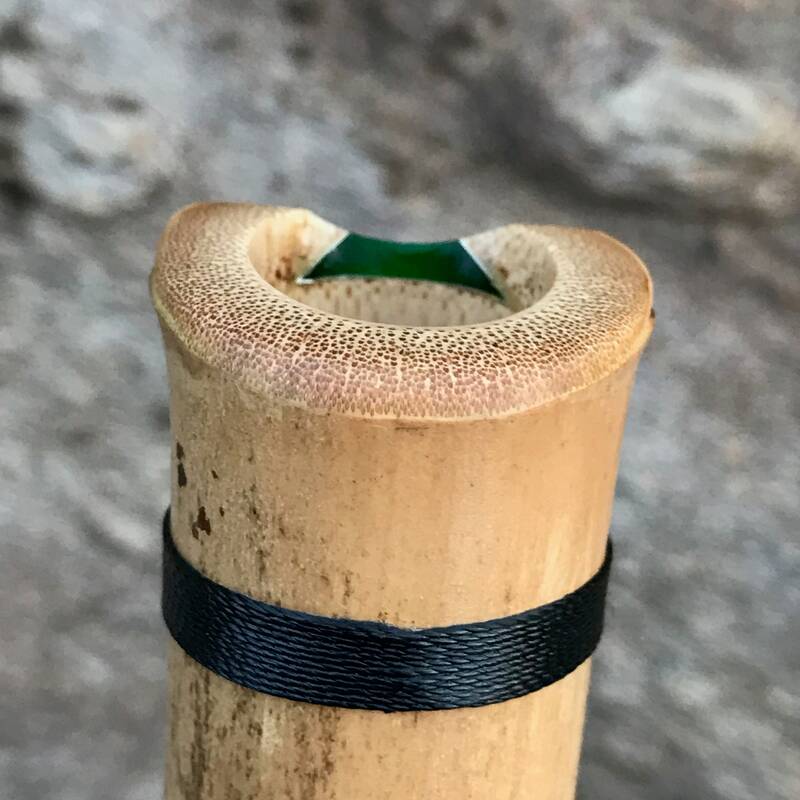 Naturally occurring yellowish coloring with light freckles. Beautiful tone. 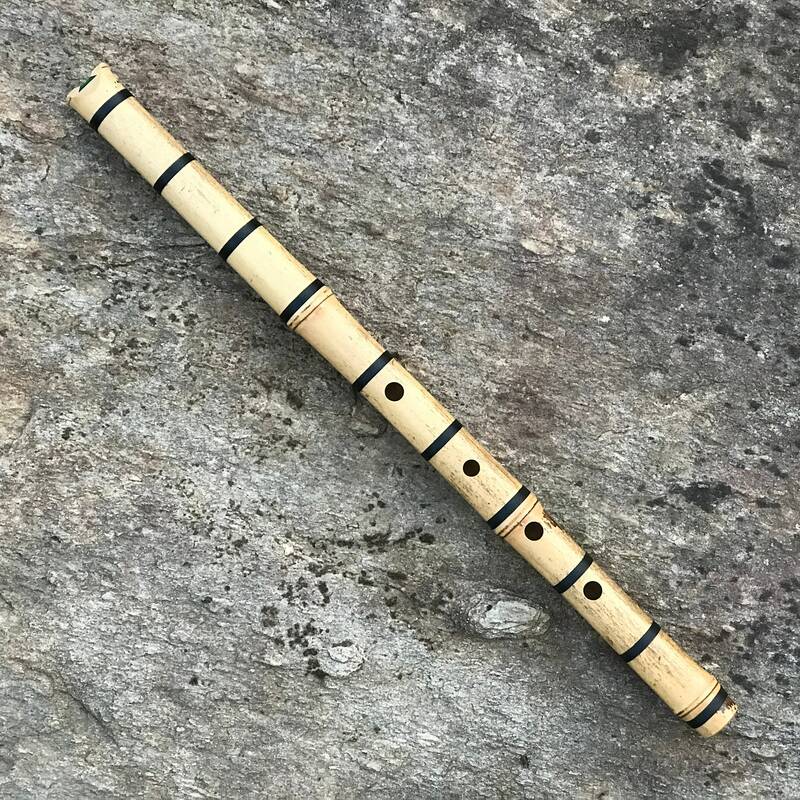 The pictures are of the actual flute that is for sale in this listing. 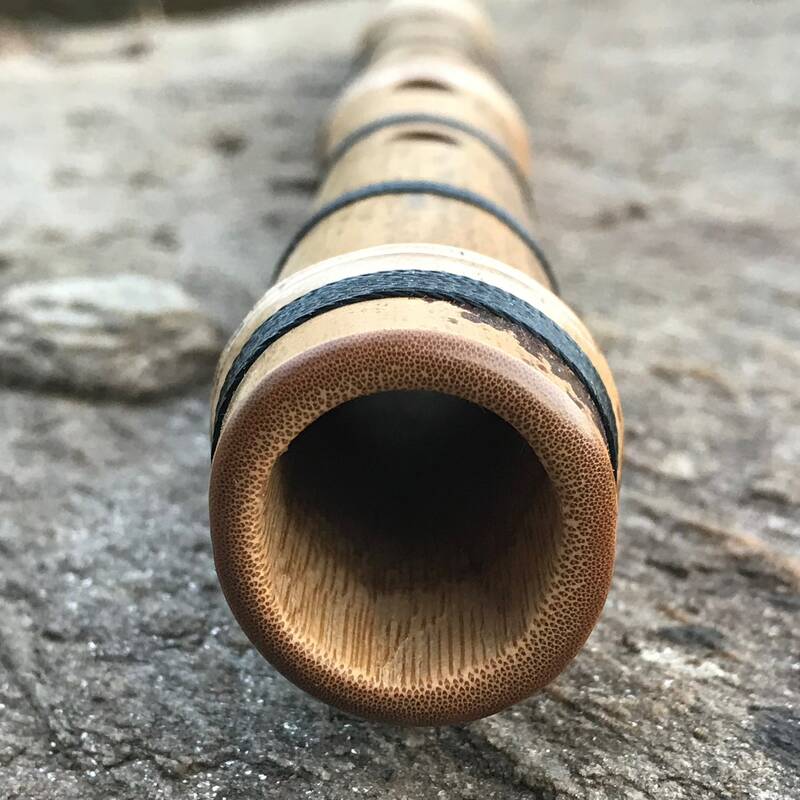 Be sure to scroll through all picts to view different aspects of this flute. 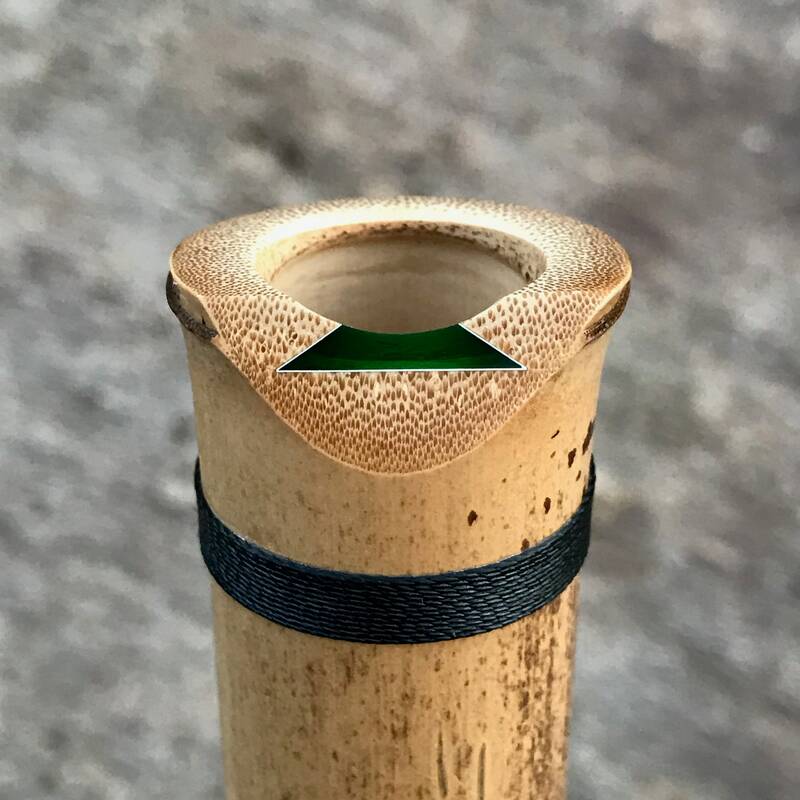 Made from Makino Bamboo (Phyllostachys makinoi) that was grown in the southeastern US. 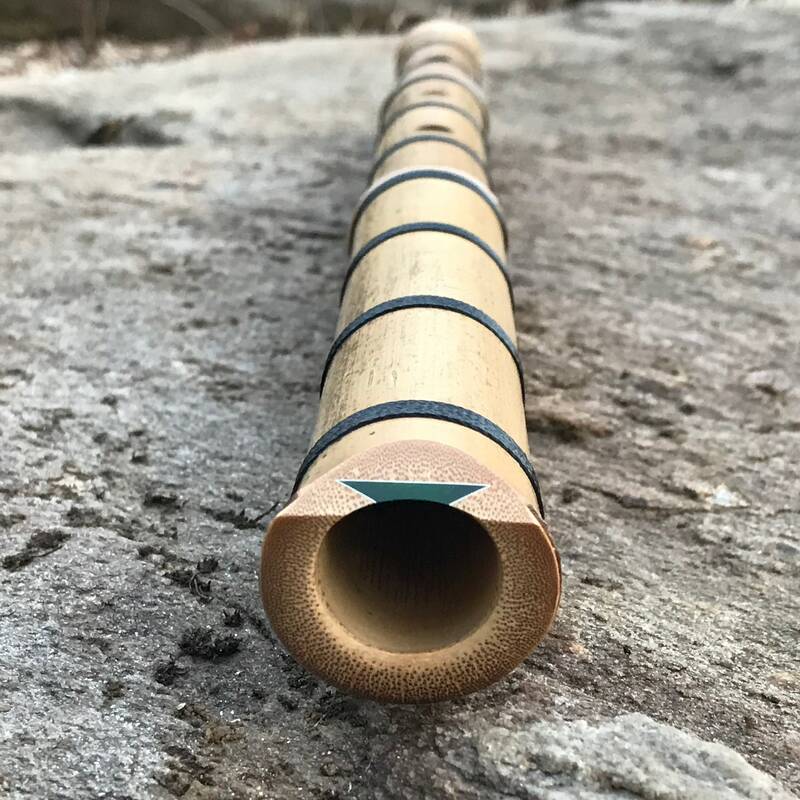 Meditation Shakuhachi weigh only about 4 to 9 ounces, easy for most to hold for extended periods of time. 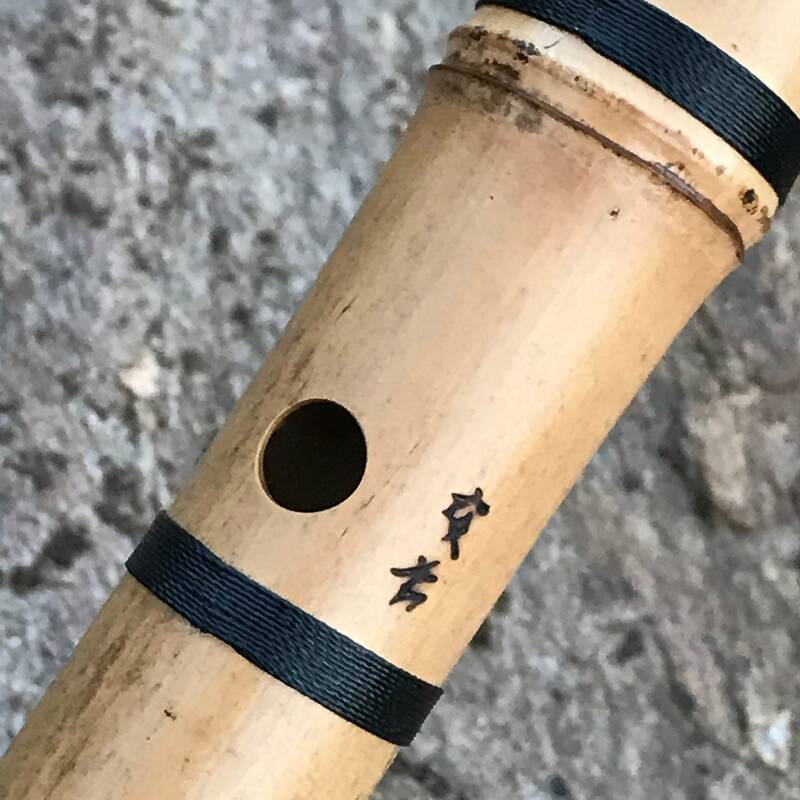 Please note: For shakuhachi flute sizes 2.1 and longer, first and third holes are offset for easier reach and are aligned for standard left-hand over right playing unless otherwise specified. 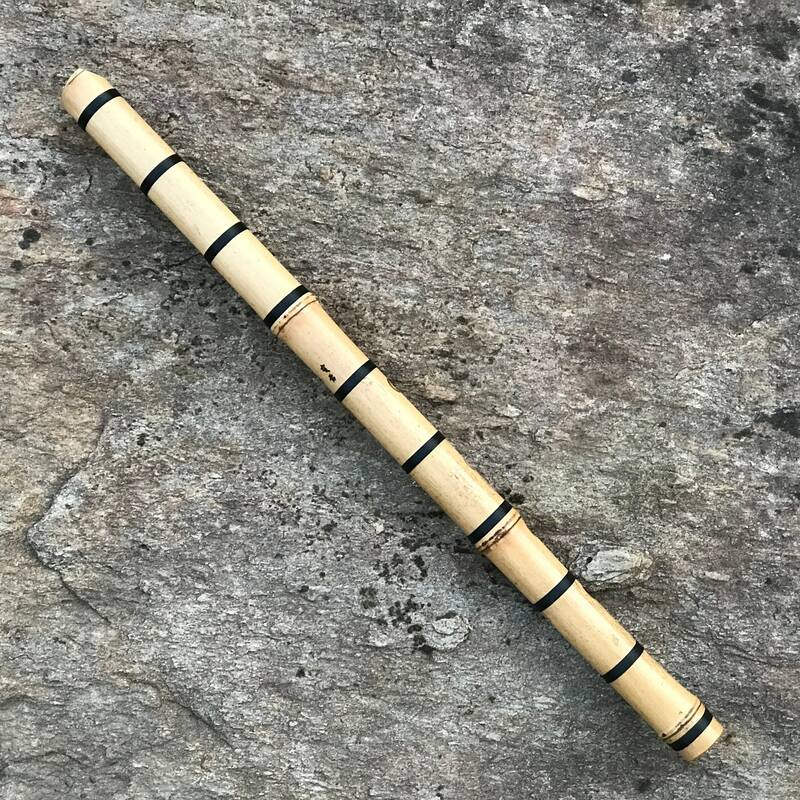 Please note: For studying traditional shakuhachi music, I highly recommend my student model flutes. Made by Jem Klein in the Appalachian Mountains of NC! 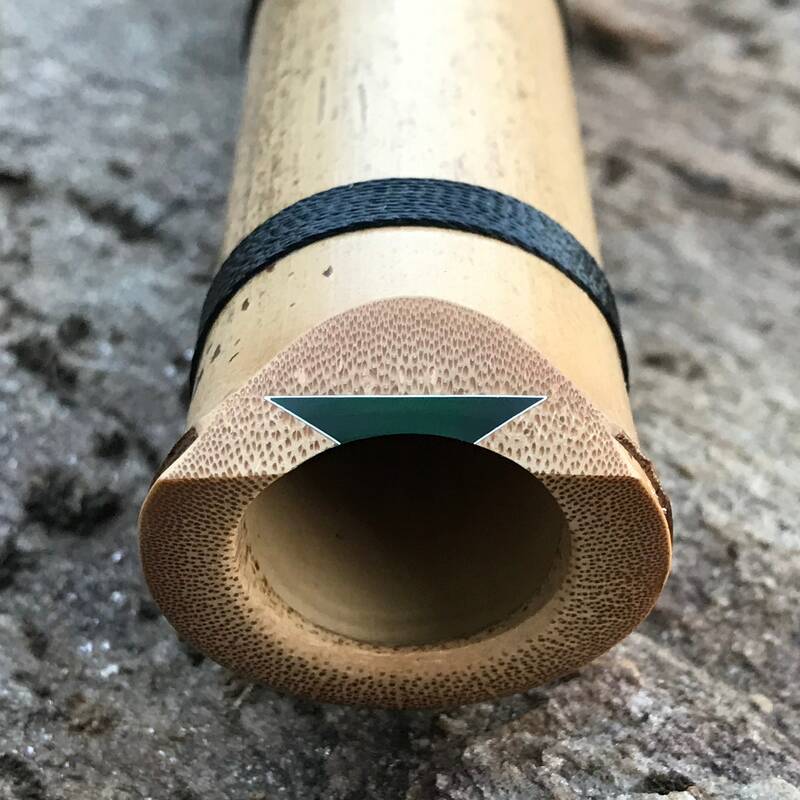 **** Shakuhachi flutes that have bindings at the time of purchase are guaranteed for life against cracking through to the bore (inside). Returned instruments will be repaired or replaced at no extra charge. This guarantee is extended to the original owner of the instrument only. 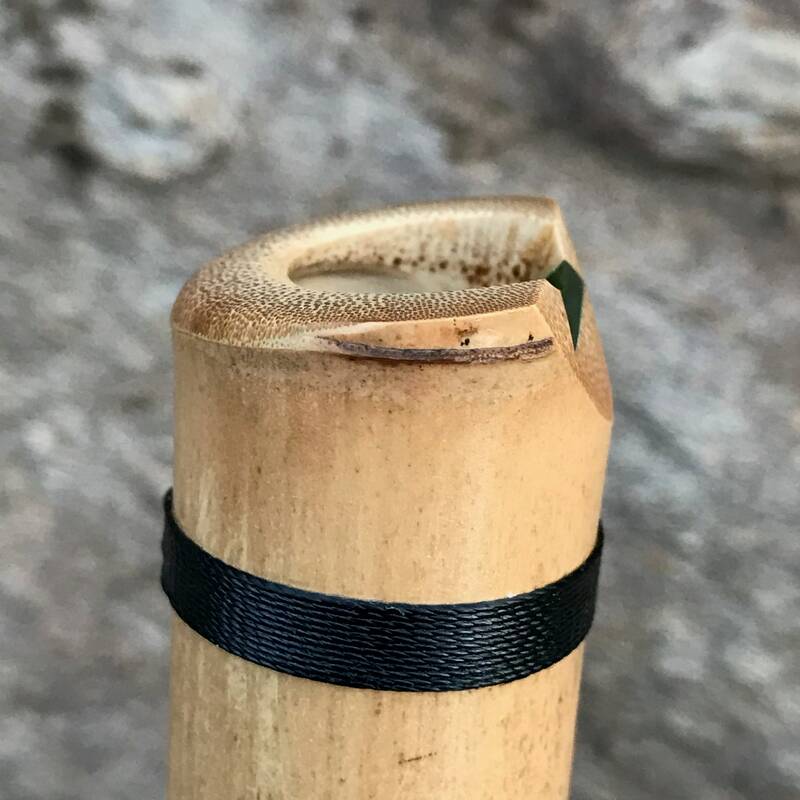 It does not apply to minor cracks on the surface of the bamboo, nor to flutes that have been mishandled, neglected or otherwise abused. POLICIES: Please see the 'Policies' tab on this page.